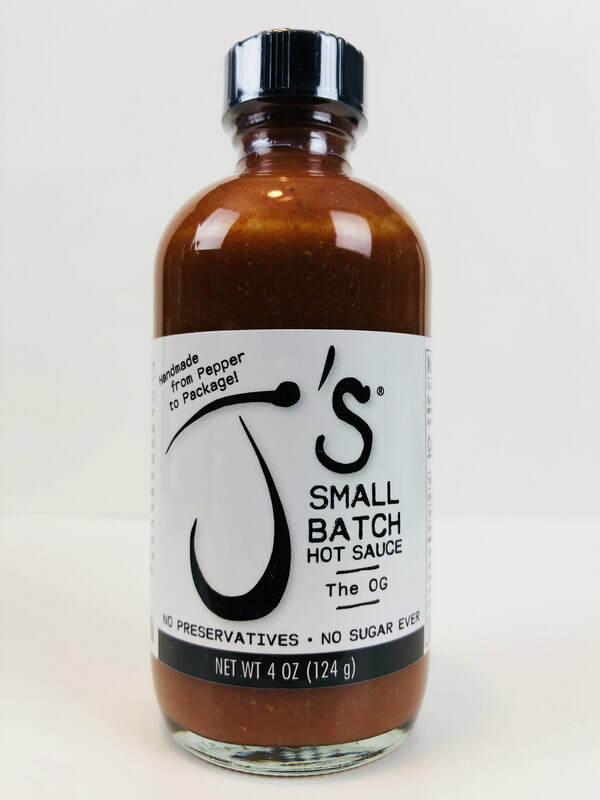 THE OG from J'S SMALL BATCH HOT SAUCE.. 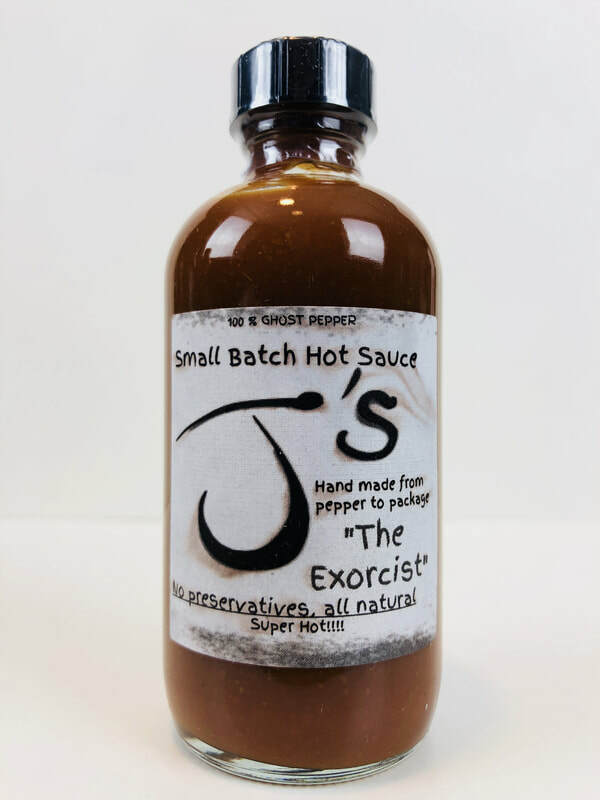 This is J's original hot sauce that started it all. You can definitely see where Jason was going with the smoky spicy flavor of his sauce. 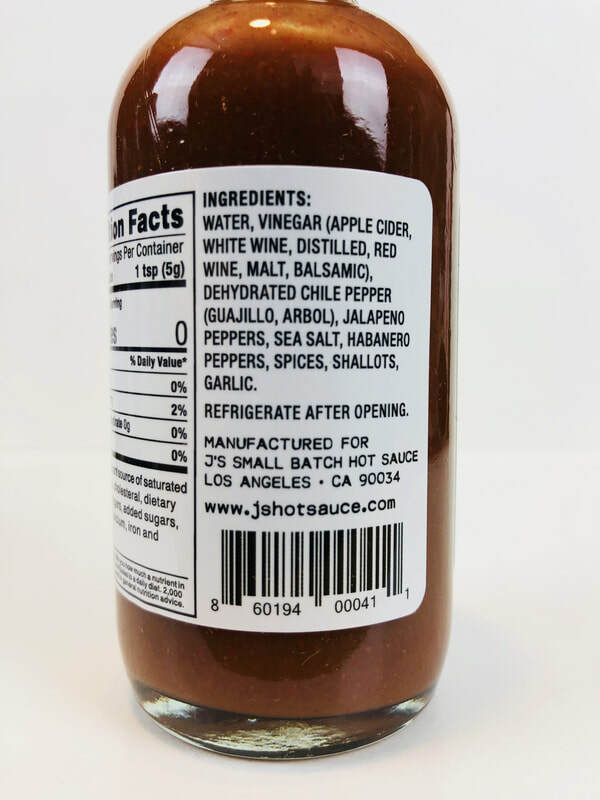 More of a mild chile sauce, it has a strong up front flavor that will blend with any foods or drinks you desire. The flavor of the Arbol, Guajillo and Habanero peppers shine through with every drop. 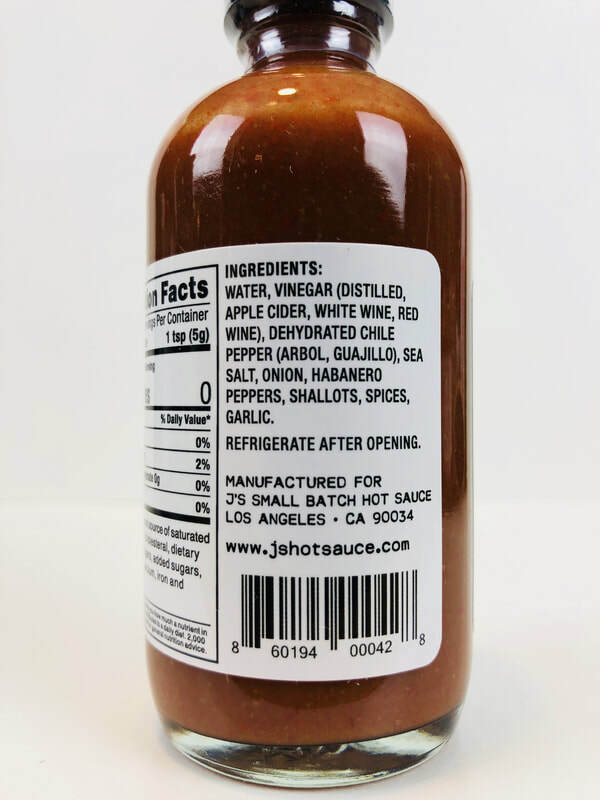 The added apple, red and white wine vinegar is added in to enhance the flavor without being a vinegar forward sauce. The salt, onions, shallots and garlic follow through to bring J's OG to a strong contender to be on any table. 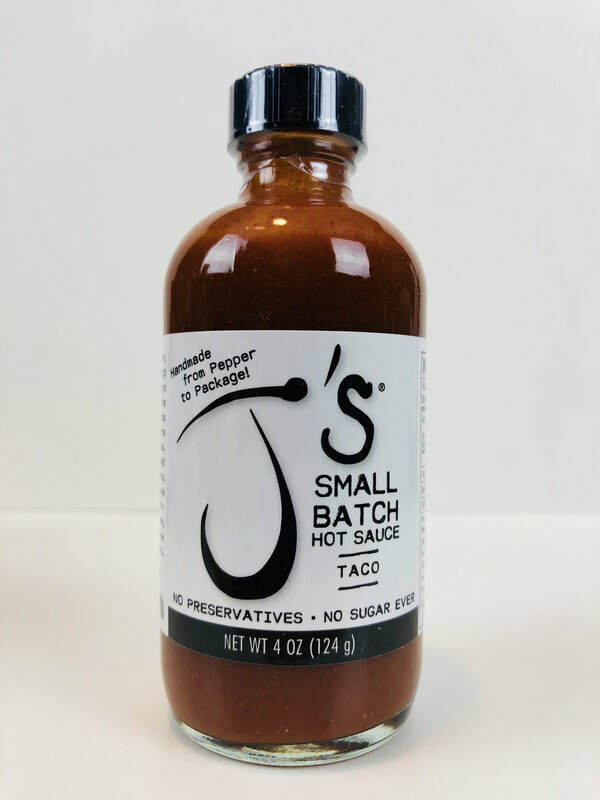 TACO from J'S SMALL BATCH HOT SAUCE.. Building off THE OG's flavor, TACO has an added taste of Malt and Balsamic vinegar that brings an brightness to this sauce without being a forward vinegar sauce like THE OG. The added flavor of the Jalapeño is suttle but still adds a difference to give this sauce a little extra bite and taste. Although this sauce dose not have a traditional taco spice flavor, It has a traditional Mexican taste that will make your tacos, nachos, eggs, or Mexican dish come alive with great flavor. 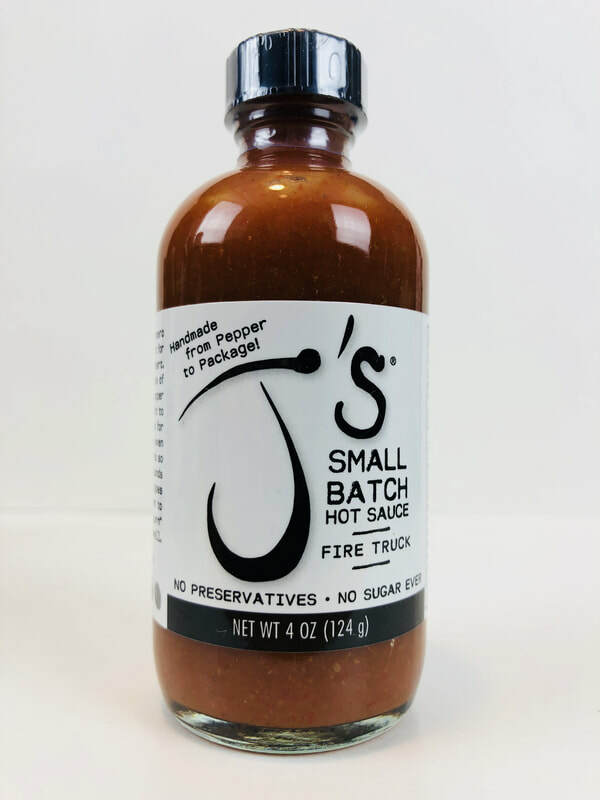 FIRE TRUCK from J'S SMALL BATCH HOT SAUCE.. 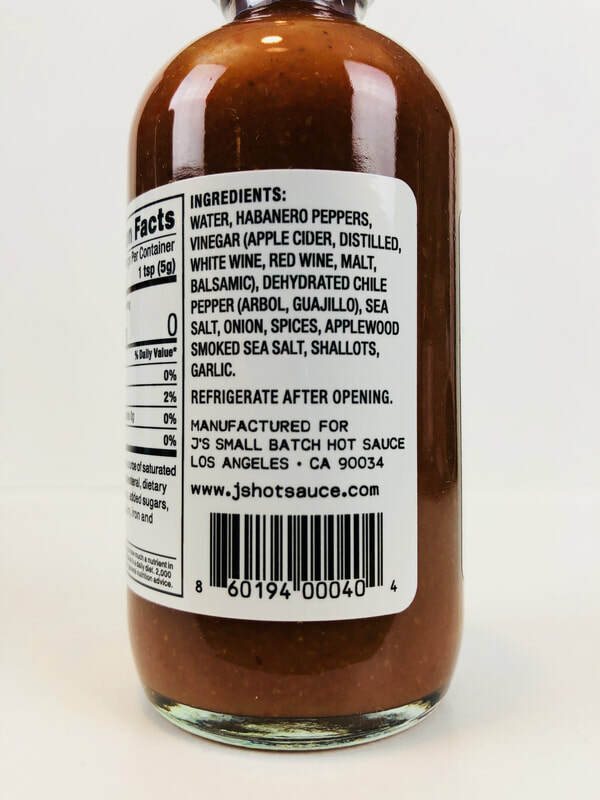 The name Fire Truck is perfect for this great tasting sauce. It has a great Habanero flavor that will set your mouth on fire. The combination of Applewood smoked sea salt is a perfect mix with the habanero pepper. 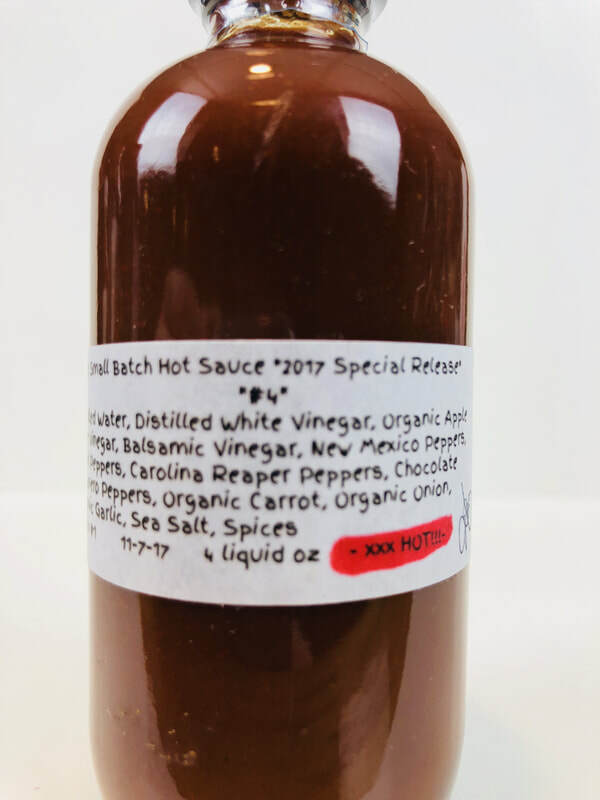 This is definitely a full flavor sauce that is blends together all the ingredients in an amazing way to add fantastic flavor to any food you desire. 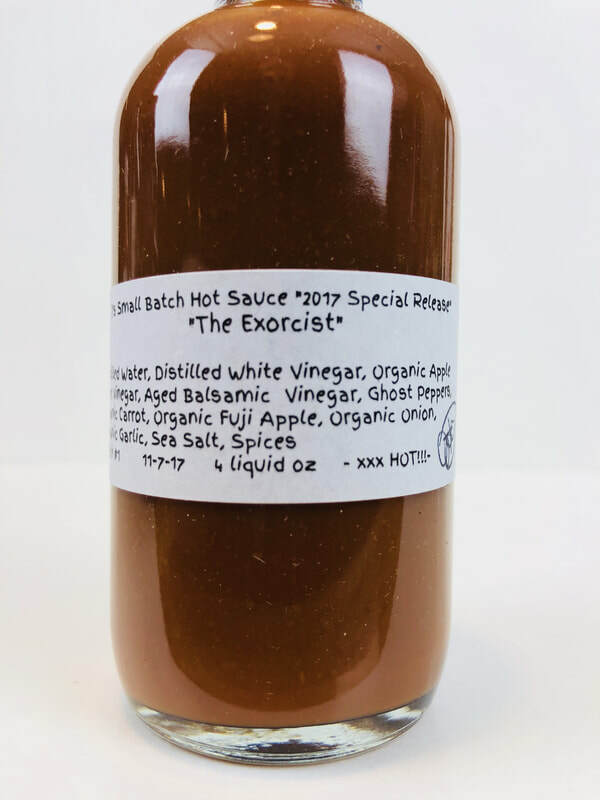 THE EXORCIST from J'S SMALL BATCH HOT SAUCE.. Ghost pepper flavor is up front and full of heat along with white, apple and aged balsamic vinegar, organic carrots, fuji apple, onion, garlic, sea salt and spices. If you love the flavor of the Ghost then this is a sauce for you. The Exorcist is a special release, so don't delay. This one is DEFINITELY HOT. So try mixing it in some Ranch Dressing to make an amazing dipping sauce. 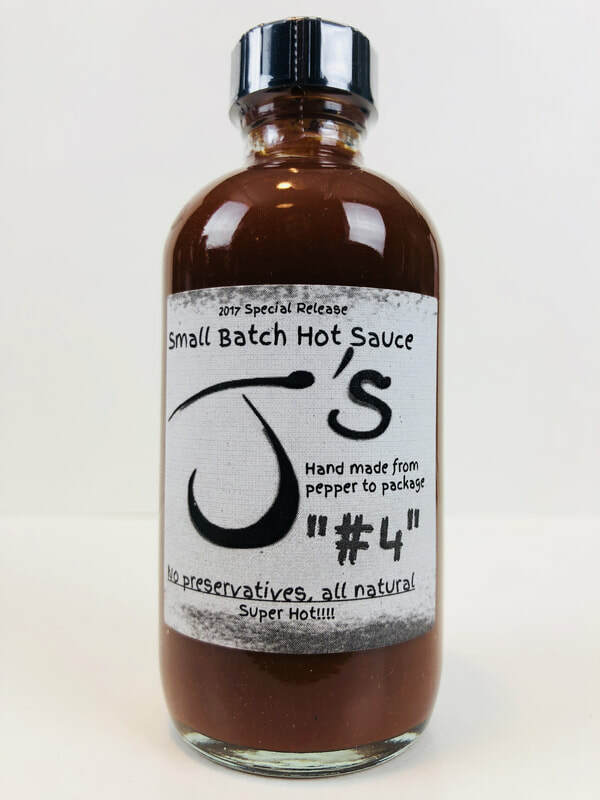 "#4" from J'S SMALL BATCH HOT SAUCE.. This is another Special Release from J's. So grab it well you can and get ready to get the full frontal experience of total fire and heat!! New Mexico peppers, Arbol peppers, Carolina reaper and Chocolate habanero brings great pepper flavor and extreme heat!! For the first second I loved its flavor, then my mouth began to melt in pain! If you can handle this heat your going to love the flavor of these hot peppers along with White and Apple cider, Balsamic vinegar, organic carrot, onion, garlic, sea salt and spices. The mix of peppers hide the bitter flavor of the garlic to bring out its amazing taste. Mix this in ketchup, ranch dressing, mustard or sour cream to make an amazing dip. Or be brave and pour it on! But watch out!!! 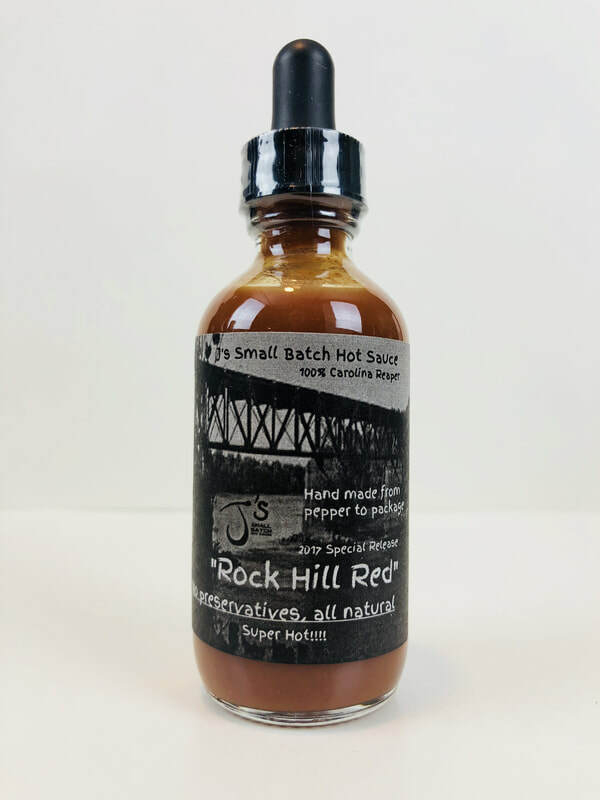 ROCK HILL RED from J'S SMALL BATCH HOT SAUCE.. What can I can, Jason is a mad man to create this sauce. Think of a southern style cayenne sauce with one big difference! 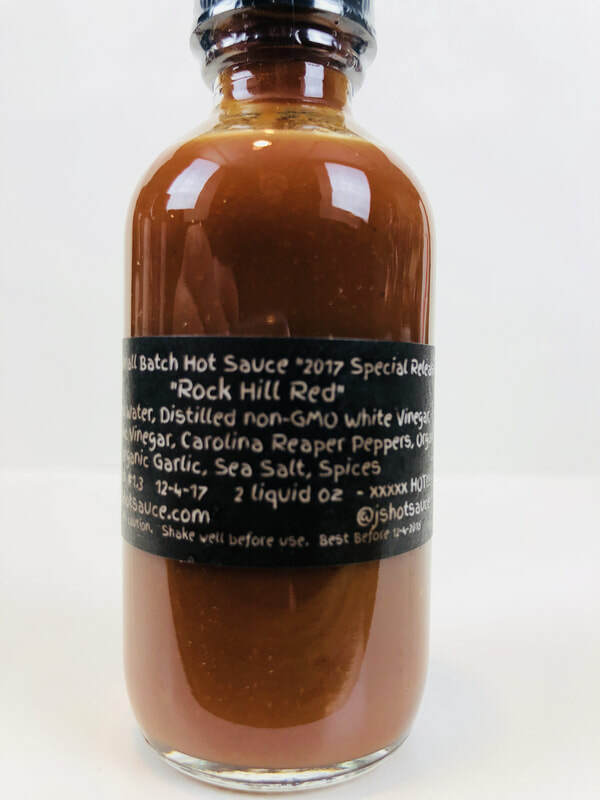 Its made with the Carolina reaper pepper! (not cayenne) Simple ingredients of vinegar, onion, garlic, sea salt and spices is all it takes to make this great tasting hot sauce. It comes with a eye dropper for a reason. Use with care! Drop it, mix it, or anything you want., you are going to love this souther style heat! Once aging, get it well you can because this is another special release from J's.